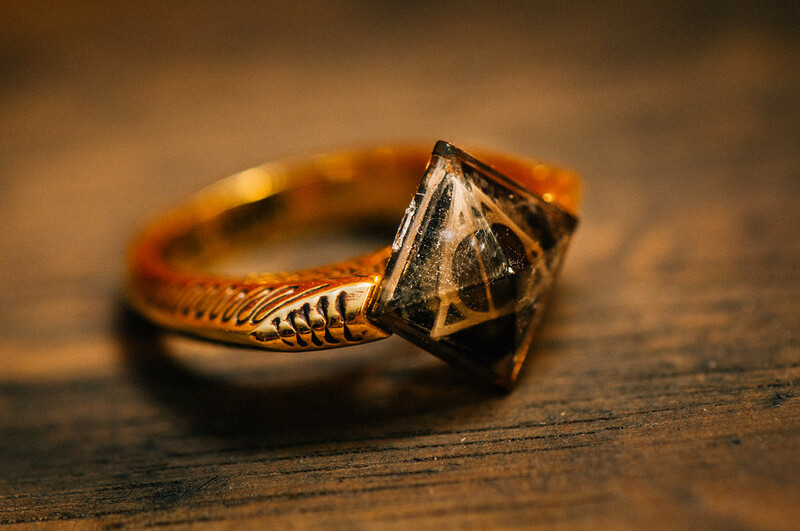 James came to us wanting a very special custom engagement ring: a recreation of the Harry Potter Horcrux ring. 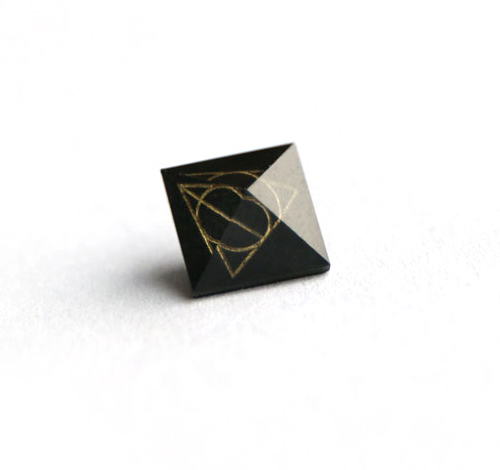 For James, the most important factor was the carving: it had to be relatively visible with a dark stone and a gold band. Once the gem is done, we could begin the 3D render. With our custom design process, the client gets infinite revisions on the 3D model until the piece is exactly as they want it. This way they have full control of the process and can make sure they love it from every angle. 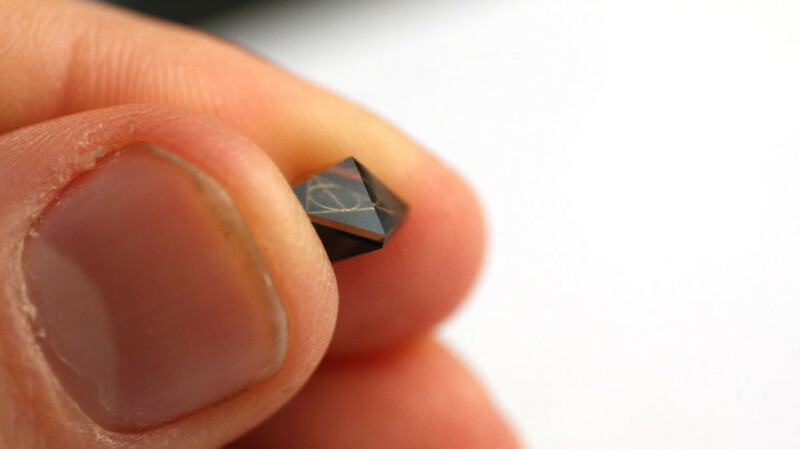 Once they are in love with the design and give it the go ahead, we cast it in the metal of their choice and set the gems.We worked together to find the best compromise between being as accurate possible to the original while still being as comfortable as possible on the finger. When James gave us the go ahead on the 3D design, we set it in platinum and polished it. We then shipped it to her insured with signature required upon delivery. Check out the video of the finished ring! 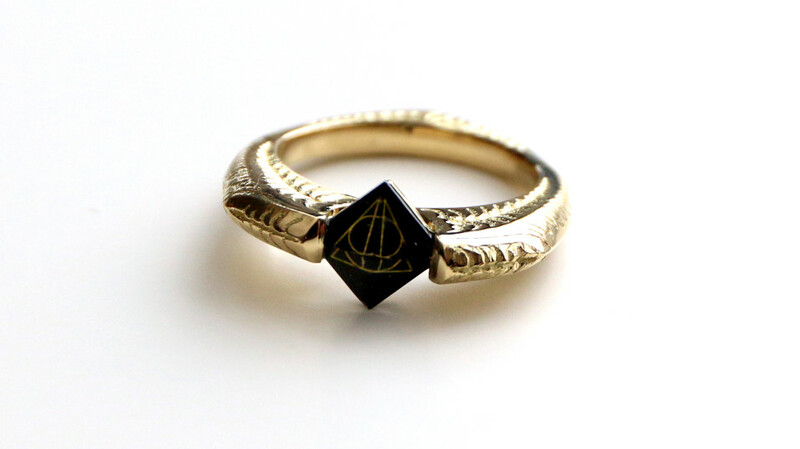 I was looking for a replica of the Gaunt ring online and stumbled upon this beauty. Absolutely love how it turned out! May I ask though, how much does it costs? I’d like to get an exact one for my birthday this year. First of all Katie Soo, it’s a pleasure to meet you, and I’m so delighted that you like the Harry Potter Horcrux ring that we made. 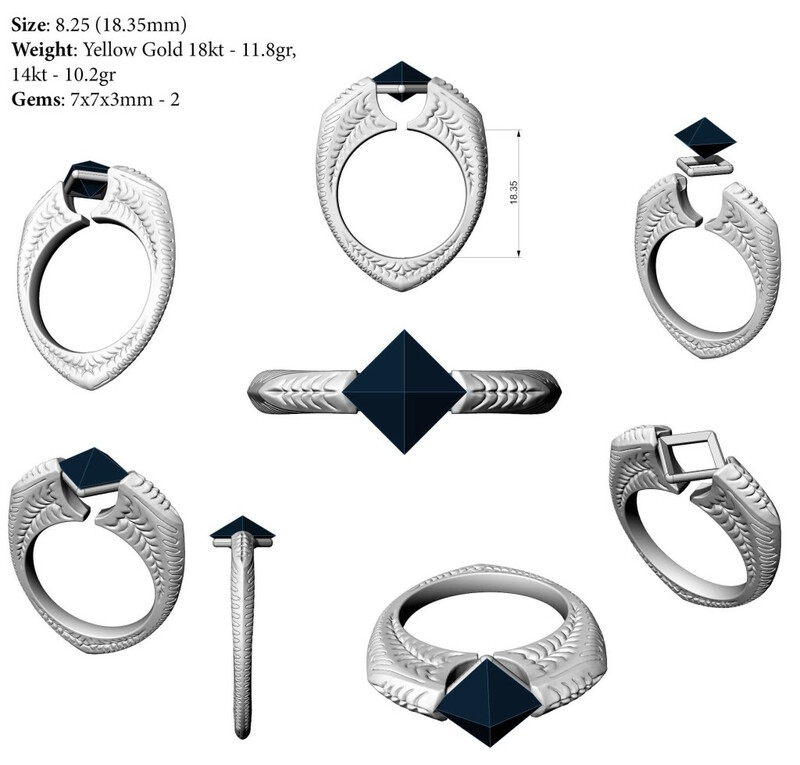 We can custom make this ring for you in a range of different prices, depending on the material you’re looking to use. Let’s try to talk on the phone and I can go over all your options. How does that sound? i lov this ring, and want one..p how could i get it?